Having Steam Engineering involved with our new plant enabled us to complete the start-up on time, on budget, and gave us one of the most efficient steam systems in the US. Ever since opening our doors in 1987, we have kept our focus clearly on one goal: "Helping our customers constantly improve their plant operations, which sustains their bottom line profitability." Using the latest technologies available, we strive to help our customers reduce waste, increase efficiencies, and improve performance of all steam, cooling, and wastewater systems in their facilities. Steam Engineering, Inc. has maintained long-term relationships with some very large corporations, and many small businesses, by being part of their management team. We are helping solve complex problems and finding solutions to the never-ending challenges of production plants, while balancing environmental, legislative, and customer demands. Sustainability, Lasting Results, Real Solutions. That is our goal, every day, at Steam Engineering, Inc.
Bill Stanwood, President - Bill provides management support to all field sales and service personnel, conducts customer education seminars, assists with in-plant service calls, and coordinates the overall corporate goals for water treatment, sanitation, and waste water programs, as well as steam system and cooling tower upgrade projects. 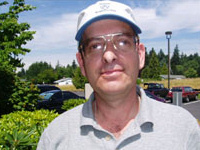 Bill Moir - Bill is a registered professional engineer in the State of Oregon. He is a mechanical engineering graduate of Oregon State University, where he majored in power plants. He has thirty years of chemical treatment experience and thirty five years of steam system improvement experience. 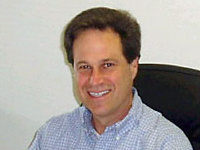 Bill is a certified steam system specialist and steam system improvement instructor for the U.S. Department of Energy. He is an expert on combustion control, boiler efficiency, and optimizing condensate return systems. He also has extensive experience in cogeneration, water treatment applications,and all aspects of steam generation and use. A member of the American Society of Mechanical Engineers, Bill is dedicated to making steam systems as good as they can be. Norm Sanesi - Norm is a certified steam system specialist and steam system improvement instructor for the U.S. Department of Energy. 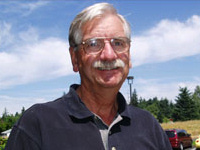 He is a registered power plant engineer in the State of Oregon and has over thirty-five years of steam system design and field experience. 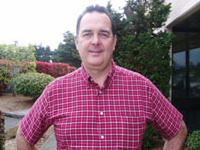 Dave Volpe - Dave has 34 years of laboratory, chemical field analytical and application experience. Dave is our senior water treatment service manager handling water treatment startups and chemical trouble shooting for Oregon and Washington accounts. Dave has a great deal of hands on steam and water systems knowledge and can help you with a customized, efficient and reliable treatment program designed specifically around the parameters of your plant. 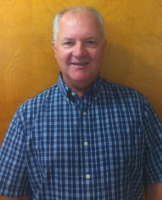 Ed Maurina - Ed has 19 years field experience in boiler, tower, and specialty chemical sales and service. Ed's focus is on creating additional value for customers by increasing their bottom line profits and ROI. He enjoys creating strong and reliable partnerships with customers and working as a team in improving their systems through engineered and chemistry-based solutions. Steve Bodie - Steve has 27 years of chemical water treating expertise treating boilers, cooling towers and potable domestic water systems. He owned his own company, NW WATER Technology, for 17 years before joining Steam Engineering. He enjoys working with customers in hope of a long-term relationship through proper treatment application and on-site technical support services. Richard Ringelstetter - Richard is our Idaho water treatment and sanitation account manager. 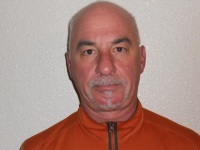 He has 27 years in cheese plant management experience in Wisconsin, California and Idaho. Additionally, he spent 14 years in the cleaning and sanitation business, including 11 years as president of SaniTech, Inc.
Mary Welch - Mary is our customer service representative and office manager. She processes orders for water treatment products, including chemicals and equipment, and is the first person to call for any customer needs. 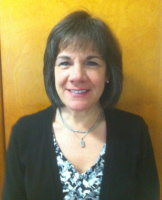 Mary has been with Steam Engineering for 16 years. 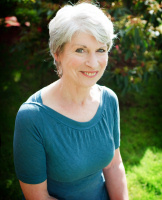 Val Sheppard - Val works in the accounting department. Her responsibilities include customer invoicing, accounts receivable, processing vendor invoices, financial reports, and serving as Corporate Secretary. She has been with Steam Engineering for 10 years. 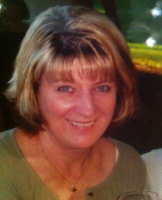 Kathy Carmody - Kathy works in the accounting department. She handles payroll and taxes, and assists with order processing. She has been with Steam Engineering since 2003.